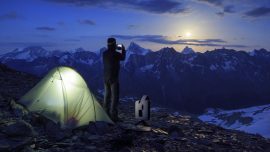 The beautiful summer nights are upcoming and so the best period of the year to set your telescope up and making your first steps in astrophotography ! However, what is it more frustrating than realizing that all of your pictures got blurred because of condensation while your telescope setup was running? How to cope with condensation, these so called water droplets which shortcut your astronomical observations ? Choosing a telescope with an integrated heater, or add a heater to your instrument is the best way to get rid of it. This resistor produces heat around the telescope optics and decreases the humidity level, stopping the formation of dew. Among all the telescopes we can find on the mass market, Stellina telescope is the only one which offers this feature. Equipped with temperature and humidity sensors, it automatically detects when the condensation is about to be formed. Where does the dew come from ? It happens very often to have condensation while observing the night sky, except in a very dry place with a low humidity (desert…). In the night, the temperature variations are far more accentuated than the day. A starry sky without any cloud coverage lets the warm air leaving away, thus, decreasing the temperature. Added to this brutal cooling, the wet ground often releases the heat it has collected all day long. All these annoying weather conditions give rise to the condensation (or dew) since they make the dew point getting closer to the ambient temperature. Basically, this particular point corresponds to the temperature threshold over which the condensation will never form. Unfortunately, if your telescope cools down to a temperature below the dew point, the condensation will appear. 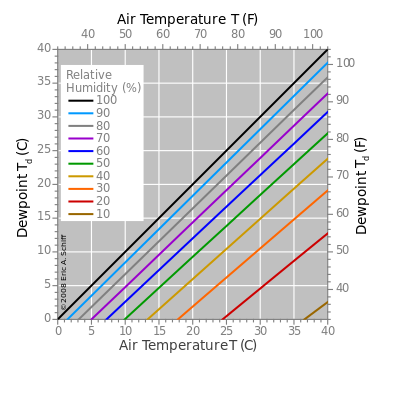 The chart above shows the relation of the dew point to the humidity rate and the ambient temperature (outside). The colder and the wetter the nights are, the closer to the ambient temperature the dew point is. This amounts to saying that the condensation will appear easily on your telescope within few minutes. What is the effect of dew in Astronomy ? Condensation is what the amateur astronomers are afraid of. When these water droplets stick to the lens or the mirror of your telescope, they have similar effect as filters and damage drastically the image quality. Not only the details decrease but also the amount of collected light. 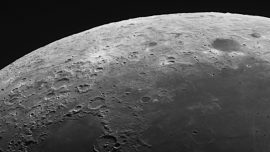 In astrophotography, the image of a celestial object you would get would seem dark and blurred. The same result you have when you do not correctly focus your camera. Comparison of two pictures of the Orion Nebula. The left one is a simulated picture showing the impact of dew on the image, whereas the right picture shows a picture taken in optimal conditions. The ageing of the electronic, mechanical and optical components of your telescope is also accelerated by condensation. How to cope with it ? The dew is nothing but natural. Thus, every telescope you could find on the market will undergo the condensation. The only solution is to use a system capable of warming up the optics just to a temperature over the dew point. Indeed, this simple temperature elevation is sufficient enough to keep the instrument out of risks. A anti-condensation heater is the amateur astronomers’ best friend. Say goodbye to your astronomical observations disturbed and shortcut by humidity stuck on your telescope ! Stellina integrates a dew control system, fully integrated and adapting to its environment automatically. . At Vaonis, we got the feedback from astrophotographers, their success stories, their biggest worries while capturing the night sky and their expectations. 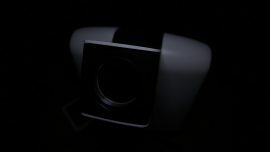 For now, Stellina telescope is the unique telescope in the mass market to offer an integrated heater. Stellina’s dew control system : more than a simple heater ! For an optimal protection against dew, Vaonis did not chose to use a single resistor but ten heating resistors equally spaced around the front lens of Stellina. You probably already know that similarly to our toaster or electric heating, condensation heaters are big power consumers ! This is absolutely not an issue with Stellina since the system switches on only when it finds that the telescope must be warmed up, and optimize its energy consumption. Embedded temperature and humidity sensors inform the telescope in real time whether the condensation is likely to appear or not. We also take care about the users who would like to control the heater by themselves. Therefore, we added a manual mode, so this will insure the deep sky photographs to be entirely condensation-free. 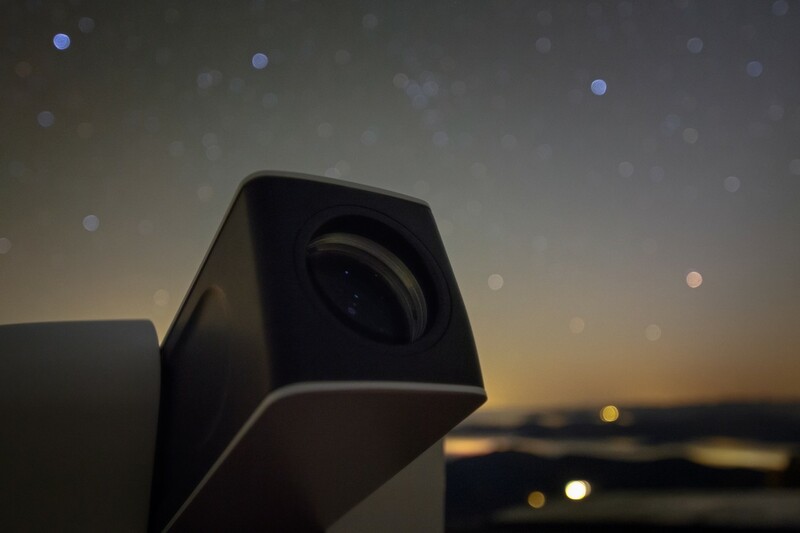 Astrophotography has never been so intuitive and relaxed than with Stellina.